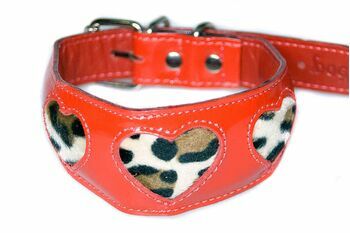 Safari inspired hound collar from our hearts range in red patent leather with three plush leopard hearts from softest leopard faux fur. A great stepping out collar to have your hound noticed! 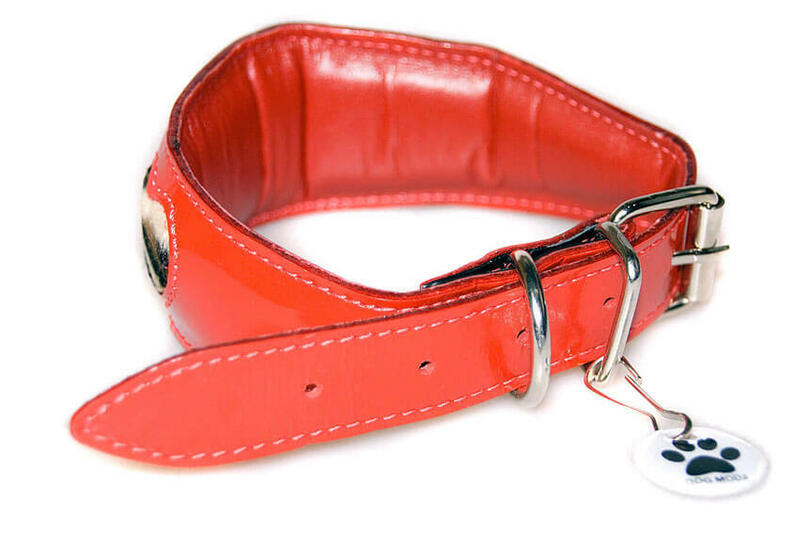 This sighthound collar is very soft and comfortable and is fully lined with red glove leather and generously padded for extra comfort of all delicate long necked breeds like whippets, greyhounds and lurchers. 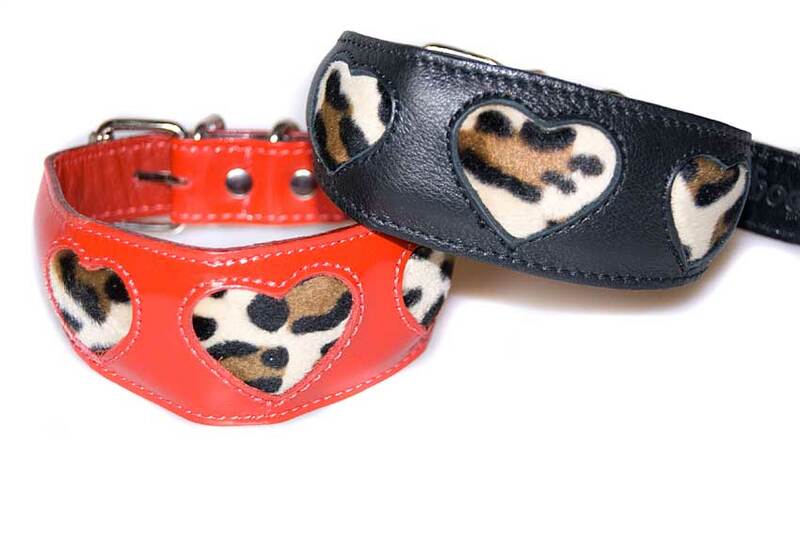 Due to the nature of the leopard print pattern no two hound collars are the same, each collar is slightly different and unique. Combining style, practicality and comfort this handmade leather fishtail shaped collar is strong, durable yet lightweight and extremely comfortable. Handmade using strong solid D rings, high quality rivets, reinforced by double stitching, fully padded throughout and and finished with genuine black leather lining along the whole length of the collar. 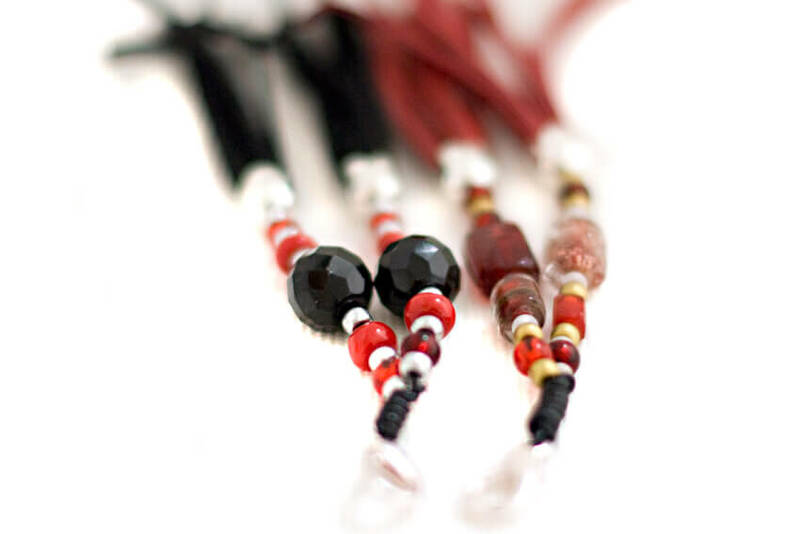 Choose from luxuriously soft and light rolled leather leads in black and brown or classic bridle leather leads available as either wide plaited leather lead or narrow stitched lead and save money when buying collar and lead together.